As a Worker-Owner, I would be grateful if you would ask the Board to put the following item on the Agenda for the Board Meeting on August 20th, and on every subsequent Board Agenda, until such time as the $6 million expansion of Weaver Street Market Co-operative has been completed and is functioning successfully: Update On Expansion. I would suggest that this item begin with the General Manager presenting to the Board a publicly-available report setting out any and all decisions and matters relating to the expansion which he feels either are negatively impacting or have the potential negatively to impact the Co-operative’s Mission Statement and the Board’s Policies. In addition, if it is not happening already, I would ask that the General Manager make available to the Board an unedited account of all comments and suggestions received by Weaver Street and relating to matters which are associated with the expansion. This should continue on a monthly basis, and these accounts should also be publicly available. My very first and over-riding concern is that our Co-operative continues to be successful – in respect of all three of its bottom lines. Everything I am doing and have been doing – as a consumer, as a worker, as an owner, as a member of the Elections Task Force, and now as a candidate for the Board – has that goal in mind. To some it is merely the discount we get on our weekly grocery bill. 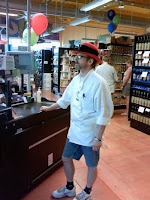 To some it is the personal contact we used to get with our butcher in Carrboro. To some it is the pride of producing food which is a level of quality obviously above anything else to be found locally. And to some it is the satisfaction of always being able to please a customer. To others, it is a day job, which never intrudes too heavily on preparations for the future of fame and glory which awaits…just around the corner. To others, it is a career in itself, which will provide a pension for ourselves, and a college education for our kids. And to others still, it is a statement in social behavior, which stands as counterpoint to 8 years of a grueling, seemingly heartless obsession with money at the highest levels in our country. All of these disparate passions make up the whole that is our “Weave.” They are all of them totally valid, and they are all to be honored and respected. To be honest, Jacob, as I have spoken with many around our Co-operative these past few months, as expansion has progressed, every single one of these different strands of thought has expressed real concern about the way things are going. Perhaps the fault lay with thinking that a small group of senior management could always make the right decisions every time with something so complex as a $6 million expansion. That is why I have been suggesting that the decision-making – with regards both to the design of and the planning for the changes, and to their implementation – should be shared with the owners and the workers. I think it is time now that the Board picked up its share of the burden also. I do not seek to criticize or pull down. 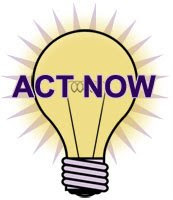 Rather, I am suggesting that it is time for all of the information to be pooled – openly – so that we may pull together and, together, we may find a way forward that puts us back on track. That is only going to happen if we all feel ownership of the way forward. And that, in turn, will only happen if we are all truly a part of the way forward, and are aware of the true situation. Jacob, I do not need to spell out the concerns that are being raised. You are Kitchen Specialist in Carrboro. You know them. You hear them. The consumers, worried about the sufficiency, the variety and the quality of the food currently available. The signs warning about the change-over being removed, because the 2 week period of transition was up a long time ago. And what about our work colleagues who are stressed to the max having to come up with stereotyped responses to every complaint at the check-out counters? Now, none of this reflects upon any of our work colleagues. We are all of us – whether in food production, food service, customer service or administration – working as hard as we can to make this transition a success. My information is that the problem resides with machinery and the physical works, and with the decisions, the systems and the processes. It could be argued this is the sole preserve of ‘Operations.’ But there comes a time when the very health of the whole Co-operative is put at risk by what may be happening within ‘Operations.’ I would suggest that time has come. You do not need me to remind you that the primary responsibility of the Board is to ensure that the investment of owners is not being put at risk. The Board is also the guardian of a Mission Statement and a set of Board Policies which are supposed to protect the shopping experience of our consumers, the work environment of our workers, and social and environmental bottom lines. It is my opinion that all of these are now being negatively impacted to a degree that makes it the responsibility of the Board to get involved – openly and dispassionately, and with a serious view to monitoring matters closely, and to putting them right where needs be. Bottom line? The Board needs to be able to make ongoing and responsible decisions about whether the problems being experienced with the expansion are genuinely temporary in their impact, or whether they may have a more permanent effect upon sales and costs. 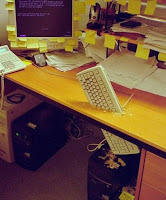 Our individual expression in the workplace is what keeps us sane. It’s what keeps us happy. It’s what keeps us truly productive. And if we’re happy and productive, our customers are happy, too. So, let us keep our bling. Our silly hats. The wind-up toys we put on the counters. Trust us. Respect us. Customers get it. It encourages social interaction. This year, researchers at the University of Michigan reported that people they studied who engaged in social interaction displayed higher levels of cognitive performance, or intellectual activity – such as thinking, reasoning or remembering – than those who do not. Which is my next point. Remember, we have brains, too. And we’re at the sharp end of production, administration and customer contact. We know what we’re doing. So, please take the time to listen to us. It’s all very well saying that the success or failure of all of these changes is in our hands. Fine. If you recognize that, then why not also recognize that implementation might be at its most productive if we’re all involved in helping to make the decisions as to how to implement? Try engaging with us. Maybe hold a department meeting or two. If you treat us like cyphers, like soldiers in a regiment, to be lined up and given orders, well, that’s what you’ll get. Who wins then? You want us to be more than hourly grunts. You want us to be team players. So, respect us, and treat us like we’re part of the team, too. By the way, do you like my bonnet? It was Jaishree’s Birthday, and she said I should wear her bonnet. No, I didn’t get the connection, either. And yes, I was allowed to wear it all day. That’s because I’m lucky enough to have a great manager, who has a sense of humor, and who truly gets it (and who…um…even as I write, is – I’m sure – slipping that $20 ‘handshake’ into my mailbox…). Apparently, the hens are getting stressed from all the ‘attention,’ and are laying less eggs as a consequence. There are 16 hens, and Foghorn has been ‘visiting’ each one, each day, religiously for…well…yonks! Forget Viagra. Distill this baby’s life essence, I say! But seriously, feathers have been pulled out, necks are being bitten, and one hen almost lost an eye. So, enough is enough. And the only thing Foghorn will be ‘sustaining’ after today is this Sunday’s family meal. My sister, by the way, is probably already known to a bunch of you. She’s Liz Gilson-Aaron, and is apparently regarded as one of our most-organized shoppers – in both Carrboro and Hillsborough (along with having the same English accent)! Her husband, Paul Aaron, is a well-known local poet and political activist, who has been shopping at “The Weave” almost since it first opened. What’s Best For Our "Weave"? I’ve been finding myself having increasingly similar conversations with a number of workers at the Carrboro and Hillsborough locations, as well as in Southern Village. The recurring theme is one of conflicted emotions. And I thought it might be helpful to share what’s been said, along with some thoughts of my own. · Whatever we like or don’t like, we want us to be the best we can be, for our customers and for our fellow workers. So, we want to implement these changes as best we can. We sure don’t want our “Weave” to stumble. · But, that doesn’t mean we’re happy about all the changes, the consequences, or the decisions made in the past, or even at the moment. And we’re still uneasy that we weren’t properly asked about all these huge changes. We remember one or two slide-shows and displays. But did any owners or workers actually ever get a vote…? · How can we find a way to express all of this, that is constructive, that is good for “The Weave,” good for our customers – and good for us as well? · Mind you, we do kind of like some of the new machinery, and the extra space that’s on the way (particularly in Hillsborough). But, why do we feel that the only choice offered is between getting material improvements or sticking up for co-operative values? Why can’t we have both? And by the way, who is going to end up paying for all of this…? We are where we are. I’m not convinced we got here in the most democratic and co-operative fashion. But, now that the big decisions have been made, and the big changes are underway, I’m going to work my hardest to make sure they succeed. Hey, it’s my dividend, too! More than that, I’m going to take pride in that success, and I’m going to enjoy the new goodies that come my way. I’ve earned them. You’ve have earned them. And we all deserve them. And I’m going to do what I can to help our “Weave” be the very best it can be for our customers. They are loyal to us. Many have paid Ownership dues. They deserve that too. In my opinion, there’s nothing wrong with any of this. Just as there is nothing wrong with our then saying, hey, next time, could you please ask us first? Could we maybe have some more democracy in the big decision-making? You see, what many of you have told me is that we believe that our “Weave” can be the best it can be (for everyone) when it is being the best and most democratic co-op it can be. And, in that regard, here’s something you may not have known: democracy in decision-making doesn’t just make for a better co-op. Research has shown that it also makes for a better business, too. Workers and owners who have been closely involved in the making of big decisions are statistically more likely to prove co-operative in the implementation of the resulting big changes, because they feel an ownership in the decisions. Can we truly say that this is the experience in “The Weave” at the moment, with all the big changes underway? And here’s another thing. It’s not just about asking next time – it’s still about asking this time. We still have the massive refurbishment of the Carrboro store to undertake. We’re all being totally loyal to our “Weave,” our customers and ourselves by insisting that we do a much better job this time of ensuring that we are all in agreement as to what physical changes we want – as well as what changes we want in systems, processes, personnel and management. I don’t think it’s unfair or biased to highlight the fact that a lot of Carrboro workers have been left somewhat bruised by the experience of all the management ‘musical chairs’ the Carrboro store has gone through in the past year. 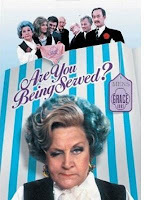 It’s not being disloyal, unco-operative or unbusinesslike to say: hey, whether or not you ask us about these decisions, are the decisions themselves what is best for our “Weave”? Is there anything we should be learning from the ones that are, by common consent, mistakes? Another thing a lot of you have told me is that, although you agree with many of these sentiments, you’re not likely to stand up and shout about them. That’s ok. That’s why I’m doing the standing. To give you a channel for those sentiments. To give you an opportunity to ask “The Weave” to include a little more democracy in our big decision-making in the future. So. 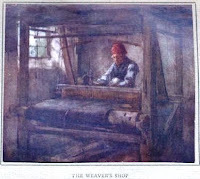 The short answer to the question, “What’s best for ‘The Weave’ and ‘Weavers’?”, is probably ‘all of the above’! In other words, and in my opinion only, the best thing we can do for “The Weave” is: first, make sure the big changes really work; and then, vote for more democracy in the way big decisions are made in the future – so that we can all help to make “The Weave” a better co-op and a stronger business. In the meantime, thank you for taking the time to talk with me. I want to know what you’re thinking. Please feel free to chat with me, or post on this blog. If you have something you want to raise privately, feel free to write to me at: geoffgilson@hotmail.com. 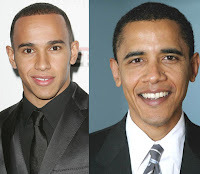 So, I was wondering at the remarkable similarity between another Brit – Formula One racing sensation Lewis Hamilton – and Barack Obama. I mean, they’re both ‘in the fast lane’…I know, I know…groan!! A couple of work colleagues have been asking me about their Economic Stimulus Checks. Why on earth they asked me, I have no idea. My relationship with the IRS is such that they kept all of mine. The only thing that I stimulated was a sense of humor in some bureaucrat, who delighted in sending me two pieces of paper. The one saying, ‘here it is,’ and the next saying, ‘oops!’. Anyway, there was one colleague who had received nothing at all. Turns out, he had applied for an extension. Ding, ding, ding. No! You don’t get anything until you file for 2007. The Rebate is based on your 2007 Return. Another said he had only received $300. As I understand it, if you’re a fellow ‘grunt,’ earning around the $9-$11 mark, you should get $600. And if you filed by April 15, you should have got it by now. If you haven’t, or you got too little, take it up with the IRS. If you want to know how, drop me a line (geoffgilson@hotmail.com). Or, have a chat with Deborah or Fernando in Human Resources. They are great folks, who will always help. 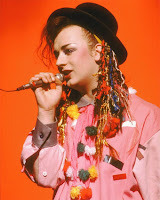 In my opinion, there is not enough money I can get from Boy George before he leaves office. هذا هو موقفنا التعاونيه. نحن نملك. يمكننا ان نجعلها مختلفة.يمكننا ان نجعلها أفضل. يمكننا ان نجعلها اكثر استجابة. انالتعاونيه! A new thread has opened up on OrangePolitics about changes with our “Weave,” and this year’s Annual Meeting and Board Elections. This was preceded by a longish thread on similar issues last year. [Oh. And the shirt up on the left is my new Of-fish-ial ‘Who Moved My Fish?’ “Weave” t-shirt. Somewhat appropriate with the Carrboro store refurbishment the next item on the “Weave’s”agenda. Make sure there is a discussion…! Q. How many light bulbs does it take to unscrew Geoff? A. I don’t know. But for the love of all things holy, would someone please find out – AND FAST!! [Um. I get it. I can be a little intense, can’t I? Hmm. Good thing, bad thing? Who knows. All I do know is I care – intensely! And it generally makes (good) things happen! We all get frustrated when things are in transition. Sometimes, we just want to blow off steam. Forget for a moment my thoughts on how we got here, why, and where we might be going. I’d just like to know if there’s anything I can do to help – whether you agree with me on those other things, or not! We’ve already been through the whole upheaval business in the Southern Village store. So, I know what it’s like. At least, I know what it was like in Southern Village. I’ve been spending more time in the Carrboro store, partly because of the Elections Task Force, and partly because I moved back to Carrboro, and I like to do my online stuff in the Carrboro store. Now, I’m not stupid. I look around. I see the meat and seafood counter has gone. I see that familiar faces are gone. I see the empty space where the pastry people used to be. I can imagine how I might feel with all this ‘loss.’ But I don’t pretend to know. If you have a moment, and want to drop me a line, or have a chat, please don’t be embarrassed to get in touch. I want to know how things are going for you. I’ve been to the Hillsborough store – but not yet the Food House. Again, I have some inkling, from Southern Village, of what it’s like to move into new(ish), space, and set up new systems. But I don’t know what it’s like at the moment in the two Hillsborough locations. “Panzanella”? Oops. I’ll be honest. I know practically nothing about what your special concerns may be. And something tells me that’s not the first time you’ve heard that. My bad. I’ll try better. But help me. I want to know. If you want to let someone know. If you want to blow off steam. If you have something specific you’d like raised, but don’t want to rock the boat. Let me know. But I recognize that one or two of us may feel we could possibly be doing things better. Perhaps by being more of a co-op. Maybe in other ways. I also understand that it is not so easy for all of us to stand up and speak out. That’s why I’m standing. So that there is a channel for those of us who have something to say, but whose inclination, at the moment, is to not to be the one to have to say it. So please, don’t be shy about letting me know what you’re thinking. Now, during the campaign, and after.